One of Washington D.C.’s most feared and fearless corruption watchers has told WND he intends to file an ethics complaint to have Supreme Court nominee Elena Kagan disbarred from practicing before the court she aspires to join – and possibly subjected to criminal prosecution – for her role in an escalating controversy over partial-birth abortion. Larry Klayman, founder of Judicial Watch and Freedom Watch USA, is bringing the complaint, alleging Kagan altered an official scientific report used as evidence by the Supreme Court to persuade the justices to overturn bans on partial-birth abortion. As WND reported, dozens of pro-life organizations are already asking the Senate to investigate Kagan’s 1997 amendment to an American College of Obstetricians and Gynecologists report, which was then used by the Supreme Court as justification for overturning Nebraska’s partial-birth abortion ban in 2000. In her confirmation hearings, Kagan defended the amendment, saying, "My only dealings with ACOG were about talking with them about how to ensure that their statement expressed their views." Several analyses have concluded, however, that Kagan’s amendment dramatically changed the meaning of the ACOG statement, and court records show the statement was passed off on the Supreme Court as official scientific opinion, even though the ACOG’s panel of scientists never approved Kagan’s wording. Klayman told WND he believes Kagan’s behind-the-scenes work constitutes "conspiracy to defraud the Supreme Court," and he intends to take the evidence that has been compiled by the pro-life groups to file a complaint before the clerk’s office of the U.S. Supreme Court, seeking to have Kagan disbarred as a practicing lawyer in front of the Supreme Court. Cameron also said that “the Israeli attack on the Gaza flotilla was completely unacceptable.” He didn’t mention the ties of the Turkish-backed IHH “activists” on the flotilla to global jihad terror groups. He didn’t mention that the “activists” on the Turkish flotilla, the Mavi Marmara, were chanting, “Khaibar, Khaibar, O Jews, the army of Muhammad will return” – a chant that refers to Muhammad’s massacre of the Jews at the Arabian oasis of Khaibar. Just as Blair was Bush’s “puppy,” Cameron is Obama’s lapdog. Obama’s use of Cameron as his sock puppet points once again to Obama’s obsession with destroying the Jewish state. Obama is doing nothing less than warring against Israel. When Sean Hannity asked me on his show Tuesday night if I thought Obama was an anti-semite, I said yes. He is. It sounds harsh. But the evidence is clear and extensive: it’s all meticulously researched and set out in my book The Post-American Presidency: The Obama Administration’s War On America, which is just out this week. In the book I profile Obama’s many, many anti-Israel playmates: not just Jeremiah Wright, but also Rashid Khalidi (who is also tied to the jihad flotillas and just named a new one after Obama’s book The Audacity of Hope) and William Ayers: in the book also I expose the blatant Judeophobia of the terrorist couple Bill Ayers and his wife Bernardine Dohrn in their book Prairie Fire. 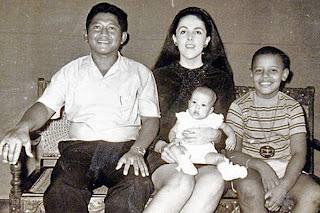 It is increasingly clear that the Islamic anti-Semitism taught in the Koranic classes of Obama’s youth in Indonesia and the subsequent adult years he spent with the likes of demagogues and Jew-haters like Wright, Ayers, and Louis Farrakhan have made him the man he is. Most of us were obviously under the mistaken impression that as a representative republic, we send congresspersons and senators to Washington , D.C. to craft legislation the president either signs into law or vetos. We believed the president couldn’t just do whatever he wanted. The Obama administration, unable to push an immigration overhaul through Congress, is considering ways it could go around lawmakers to let undocumented immigrants stay in the United States, according to an agency memo. The internal draft written by officials at U.S. Citizenship and Immigration Services outlines ways the government could provide “relief” to illegal immigrants — including delaying deportation for some, perhaps indefinitely, or granting green cards to others — in the absence of legislation revamping the system. 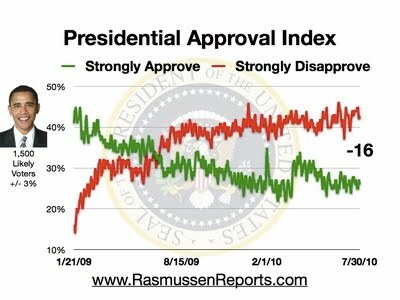 Note how cocky the president and Democrat leadership have been of late, despite the polls that universally show they’re about to be trounced in November. What do they know that we don’t? Are we going to even have elections ? If the administration believes they can “go around lawmakers“, what’s to stop them from staying in power indefinitely…? (Daniel Bayer/CBS News via Getty Images). The inept U.S. Attorney-General Eric Holder. "Does anyone read the U.S. Constitution these days? American lawyers don’t read it. Federal Judge Susan R. Bolton apparently has never read it. Same goes for our illustrious Attorney General Eric Holder. But this lawyer has read it and she is going to show you something in Our Constitution which is as plain as the nose on your face. Thus, U.S. Attorney-General Eric Holder filed the federal government's lawsuit against the state of Arizona in a court that has no authority to hear the case. The attorney whose heads-up thinking concerning the Constitution provides the legal remedy for dealing with this blatant disregard for Constitutional law in the article at Canada Free Press, which can be accessed at the link above. From Article I, Section 10 of the U.S. Constitution, we find these words: "No State shall, without the Consent of Congress, engage in War, unless actually invaded, or in such imminent Danger as will not admit of delay." No one who is actually familiar with the crisis at the southern border can deny that Arizona is endangered by the relentless assault of lawless Mexican invaders who ignore our laws, inundate our schools and medical facilities with unpaid bills, and even endanger the very lives of citizens with criminal drug cartels that engage in kidnapping, murder, human trafficking, and other mayhem, including aiming missile and grenade launchers directly at U.S. border cities from just across the Mexican border. This is every bit as much of an invasion as the nation of Iran sending in a fleet of warships to the Port of Charleston. His bullying and offenses against the economy and job creation are so outrageous that CEOs in the Business Roundtable finally mustered the courage to call him "anti-business." Veteran Democrat Sen. Max Baucus blurted out that Obama is engineering the biggest government-forced "redistribution of income" in history. Fear and uncertainty stalk the land. Fed Chairman Ben Bernanke says America's financial future is "unusually uncertain." A Wall Street "fear gauge" based on predicted market volatility is flashing long-term panic. New data on the federal budget confirm that record-setting deficits in the $1.4 trillion range are now endemic. Obama is building an imperium of public debt and crushing taxes, contrary to George Washington's wise farewell admonition: "cherish public credit ... use it as sparingly as possible ... avoiding likewise the accumulation of debt ... bear in mind, that towards the payment of debts there must be Revenue, that to have Revenue there must be taxes; that no taxes can be devised, which are not ... inconvenient and unpleasant ... ."
Opinion polls suggest that in the November mid-term elections, voters will replace the present Democratic majority in Congress with opposition Republicans — but that will not necessarily stop Obama. A President Obama intent on achieving his transformative goals despite the disagreement of the American people has powerful weapons within reach. In one hand, he will have a veto pen to stop a new Republican Congress from repealing ObamaCare and the Dodd-Frank takeover of banks. 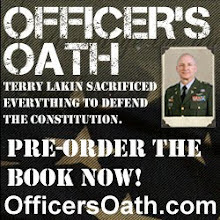 In the other, he will have a fistful of executive orders, regulations and Obama-made fiats that have the force of law. Under ObamaCare, he can issue new rules and regulations so insidiously powerful in their effect that higher-priced, lower-quality and rationed health care will quickly become ingrained, leaving a permanent stain. Under Dodd-Frank, he and his agents will control all credit and financial transactions, rewarding friends and punishing opponents, discriminating on the basis of race, gender and political affiliation. Credit and liquidity may be choked by bureaucracy and politics — and the economy will suffer. He and the EPA may try to impose by "regulatory" fiats many parts of the cap-and-trade and other climate legislation that failed in the Congress. And by executive orders and the in terrorem effect of an industrywide "boot on the neck" policy, he can continue to diminish energy production in the United States. By the trick of letting current-law tax rates "expire," he can impose a $3.5 trillion 10-year tax increase that damages job-creating capital investment in an economy struggling to recover. And by failing to enforce the law and leaving America's borders open, he can continue to repopulate America with unfortunate illegals whose skill and education levels are low and whose political attitudes are often not congenial to American-style democracy. A wounded rampaging president can do much damage — and, like Caesar, the evil he does will live long after he leaves office, whenever that may be. The overgrown, un-pruned power of the presidency to reward, punish and intimidate may now be so overwhelming that his re-election in 2012 is already assured — Chicago-style. • Christian, an attorney, was a deputy assistant secretary of the Treasury in the Ford administration. • Robbins, an economist, served at the Treasury Department in the Reagan administration. BREAKING: Stanley Ann Dunham/Obama/Soetoro- Passport Records Released Under FOIA, Earliest Passport Application No Longer Exists, Got Purged!? 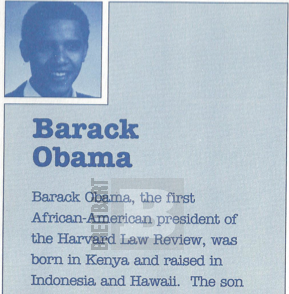 2008 Snopes Article Reports Barack Obama born in Kenya and is not a legitimate U.S. Citizen. 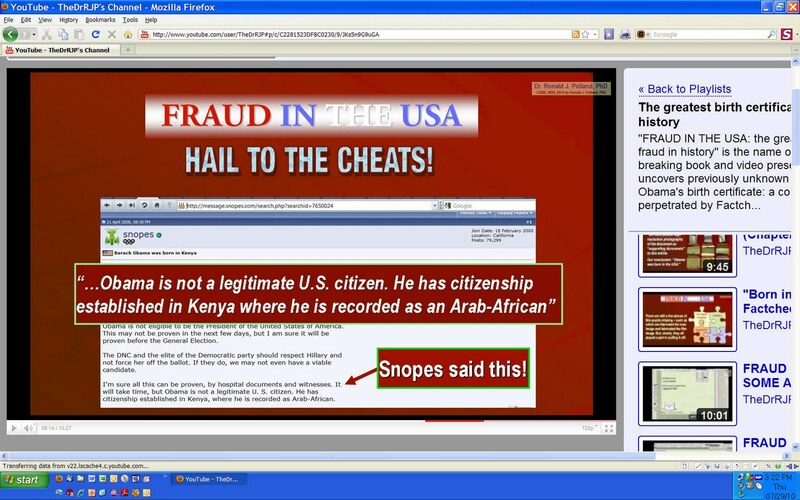 Dr. Ron Polland found an article from the online self proclaimed "fact checkers" SNOPES.com in an April 21, 2008 article published by SNOPES saying ... Barack Obama born in Kenya ... can be proven by hospital documents and witnesses ... Obama is not a legitimate U.S. Citizen. This was back in time over 2 years ago when SNOPES.com was on Hillary Clinton's side in their coverage during the Democratic Party primary campaign and was not actively engaged in covering up and playing tag team partner with FactCheck.org and other sites who are now active protecting and covering up Obama's lies about his nativity narrative like they are now with their so called "fact check" articles. 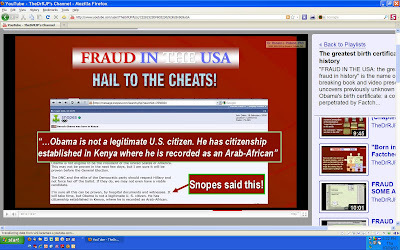 What evidence did SNOPES.com have in April 2008, or access to people with evidence, and when exactly did they learn it and from whom ... in the way of hospital documents and witnesses saying Obama was born in Kenya ... such that they could state that it will take time to prove it but "Obama is not a legitimate U.S. Citizen" and "He has Citizenship established in Kenya, where he is recorded as an Arab-American"? Are they now at this time committing misprision of a felony by not revealing these hospital documents and naming the witnesses and the sources that proved to SNOPES.com their statement that "Obama is not a legitimate U.S. Citizen" as reported in their article on April 21, 2008, and that "Barack Obama born in Kenya" ? Suggested sequence for watching Dr. Ron Polland's YouTube "FRAUD IN THE USA" video clips. Previous reports on Dr. Ron Polland and his extensive research can be viewed here. 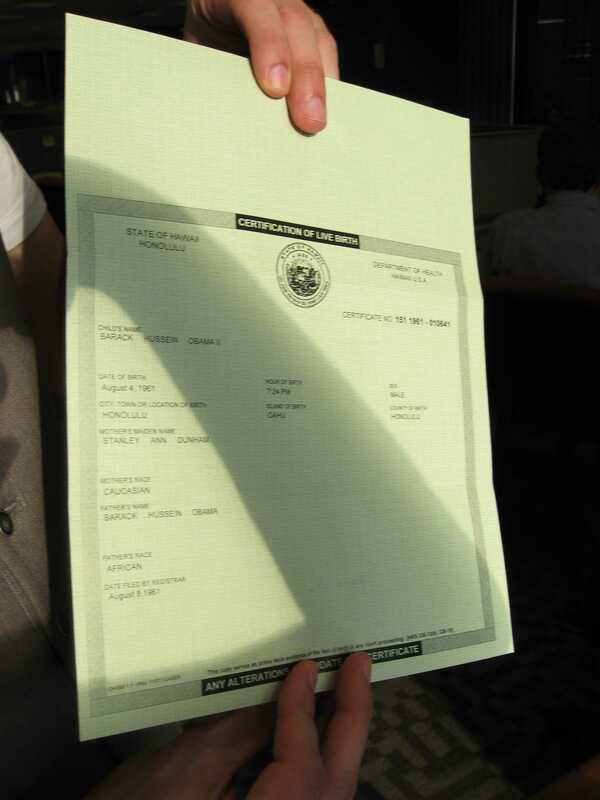 BIRTHER REPORT RECAP; As previously reported HERE, HERE, HERE, and HERE. 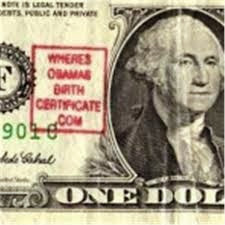 Obama's campaign & supporters posted 4 different images of a Certification of Live Birth on the Internet. Several document and computer image experts have deemed the Obama COLB(s) as fakes. If you have not yet researched the Obama COLB then this report from the Post & Email will explain it point by point. More from previous reports below the P&E report. 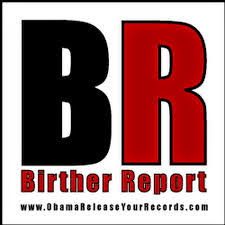 Via the Post & Email; - Obama’s Forged “Certification of Live Birth”: The Evidence - DID FACTCHECK PROVIDE THE LINK BETWEEN THE OBAMA CAMPAIGN AND THE 2008 PASSPORT FILE BREACHES? ...must read report HERE. ...and HERE & HERE & HERE. Flashback from the Right Side of Life; Meet the only 2 people to ever "examine" Obama's SHORT-FORM COLB's. 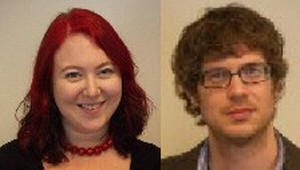 The two FactCheck.org employees who were granted access to Obama’s bogus Certification of Live Birth (COLB) are NOT document examiners or experts. Joe Miller has a Ph. D. in Political Philosophy — so he’s a political operative — while Jess Henig has an M.A. in English Literature — I’m not sure her dye-job is a political or esthetic statement.They are a couple of partisan Obots — just what you’d expect — Jess took the photos presented on their webpage and did all of the writing, while Bob basically held the COLB open for Jess to photograph — suitable work for a Ph. D.
Those two are completely unqualified to perform any kind of forensic examination of any document, and FactCheck.org knows it — and so do Henig and Miller. FactCheck does say their, “representatives got a chance to spend some time with the ‘birth certificate,’ and we can attest to the fact that it is real and three-dimensional and resides at the Obama headquarters in Chicago.” In my mind, that clearly shows they were working with and for the Obama Campaign and that Obama and his people are involved in this lie. Much more HERE. 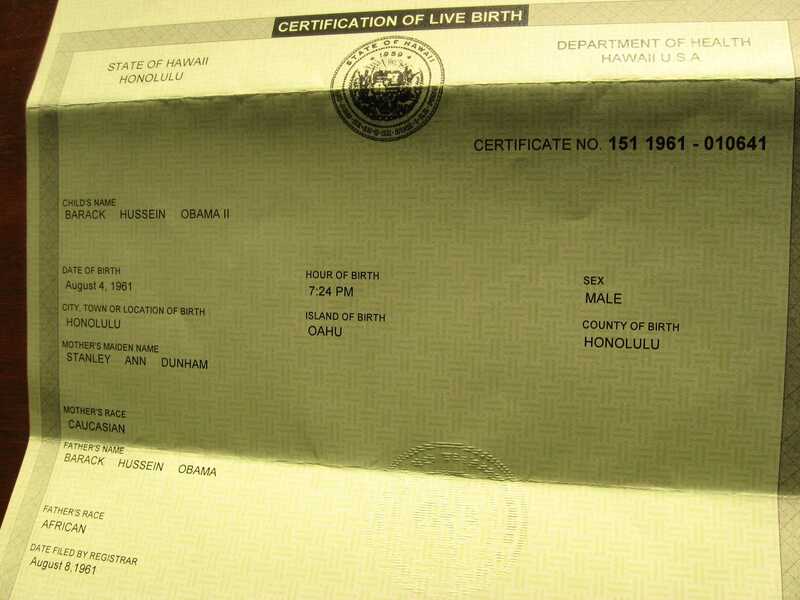 And this; - Blogger manipulates birth certificate image, undermining Obama claims - Jay McKinnon, a self-described Department of Homeland Security-trained document specialist, has implicated himself in the production of palpably fake Hawaii birth certificate images similar to the one endorsed as genuine by the Barack Obama campaign, and appearing on the same Daily Kos blog entry where the supposedly authentic document appears. Much more HERE and HERE. 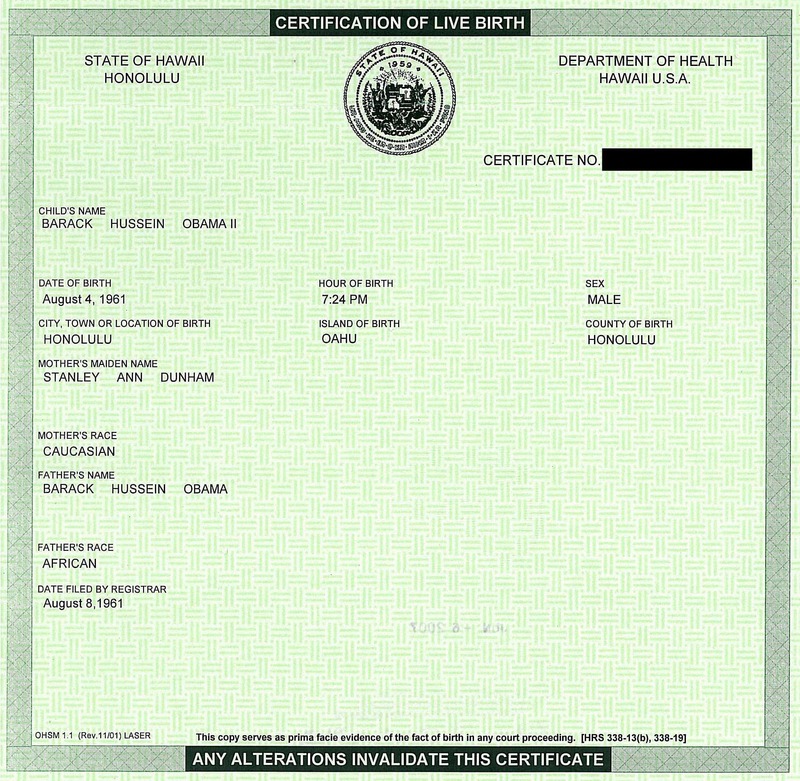 In response to a direct question from WND, the Hawaii Department of Health refused to authenticate either of the two versions of President Obama's short-form Certificate of Live Birth, or COLB, posted online – neither the image produced by the Obama campaign nor the images released by FactCheck.org. Janice Okubu, the public information officer for the Hawaii DOH, also had no explanation for why Dr. Fukino's initial press release last October and subsequent press release also avoided declaring the posted images to be of authentic documents. 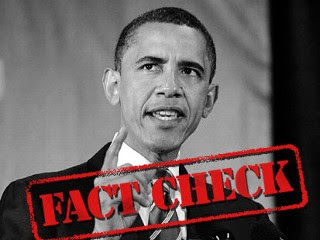 FactCheck.org, an organization funded by the same left-leaning Annenberg Foundation that also employed Barack Obama and former Weatherman radical bomber Bill Ayers, produced a short-form Obama COLB that was very different in appearance than the campaign released. Source. And much more HERE. 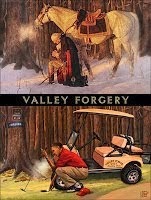 Forgery is nothing new to the Obama campaign, via Debbie Schlussel; Obama’s Selective Service Draft Registration Raises Serious Questions. Did President-elect Barack Hussein Obama commit a federal crime in September of this(last) year? Or did he never actually register and, instead, did friends of his in the Chicago federal records center, which maintains the official copy of his alleged Selective Service registration commit the crime for him? It’s either one or the other, as indicated by the release of Barack Obama’s official Selective Service registration for the draft. The full investigative report is HERE and more HERE. About time WND; Investigators: Obama using Connecticut issued Soc. Sec. Number... - Source. and more HERE & HERE. Bonus; CONFIRMED: Factcheck.org Published Bogus Fact Regarding Obama’s British/Kenyan Citizenship. We can report that it has been conclusively established – the Factcheck.org report contains false information. Factcheck.org – Inaccuracy #1: Obama’s Kenyan Citizenship did not expire on Aug 4, 1982. Factcheck.org was absolutely wrong when they reported Obama’s Kenyan citizenship expired on Aug 4, 1982. Factcheck.org – Inaccuracy #2: While Obama’s status as a British citizen may have been short lived, Factcheck.org failed to state that his status as a British subject was not short lived. Research has discovered multiple legal mechanisms which have the potential to establish that Obama is now a full citizen of Kenya as well as the United Kingdom, the European Union, the Commonwealth of Nations and the Republic of Indonesia. Source. Say it isn't so, Bill O'!? Rep. Maxine Waters has chosen to go through an ethics trial akin to the one likely on the docket for Rep. Charlie Rangel, Fox News has confirmed, further complicating the midterm election outlook for Democrats as they battle to keep control of the House. The allegations against the California Democrat could be announced next week, people familiar with the investigation, who were not authorized to be quoted about unannounced charges, said. The House ethics committee declined Friday to make any public statement on the matter. Waters, 71, is accused of using her position to help arrange for federal bailout funds for a bank associated with her family. She was investigated for communicating with an executive at a bank in which her husband owned stock. The bank was applying for a federal bailout. She serves on the House Financial Services Committee. Waters decision presents a rare, rather bizarre situation for House Democrats and two, public trials for members of the Congressional Black Caucus. Rangel, a New York Democrat, also faces an ethics trial this fall on separate charges that included failure to disclose assets and income, nonpayment of taxes and doing legislative favors for donors in order to have a college center named after him. Time of Reckoning for Obama, Pelosi RIM Seen Unveiling 'iPhone Killer' Next Week Best and Worst College Degrees for 2010 Grads Obama Missing Historic Boy Scout Jamboree for Fundraisers, 'View' Taping New Mexico Governor Considers Pardon for Billy the Kid Dual ethics trials would be a major political liability for Democrats, forcing them to defend their party's ethical conduct during elections this fall. As I always say, America’s attitude toward fighting terrorism and the Islamic forces behind it is like the old Adam Ant hit from the ’80s, “Desperate But Not Serious.” And now we have even more of it. More of it that puts more lie to the claim that illegal alien amnesty and not enforcing Arizona’s immigration law are in America’s best long-run interests. Gee, if we can’t even enforce who gets a passport, how the heck are we gonna determine anything under illegal alien amnesty . . . like who’s been here for as long as they claim and whether their documentation of those claims is legit? Posing as someone else and using fake birth certificates and driver’s licenses to get a U.S. passport can still work. For the second time in two years, government investigators exposed a gaping hole in the country’s security by deliberately using fraudulent material to obtain passports. Mexican drug cartel offers $1M bounty to Assassinate Sheriff Arpaio? I wonder if this drug cartel is working for Obama, Holder or Napolitano? It goes to show you who's side the President and his thugs underneath him are really on. They are UNITED with Mexican drug cartels in a war against ONE SHERIFF? ONCE AGAIN....they are domestic enemies and they prove me correct every damn day by their actions, because I would have drones with tear gas and machine guns patrolling that border. Trust me, nobody would dare cross it. 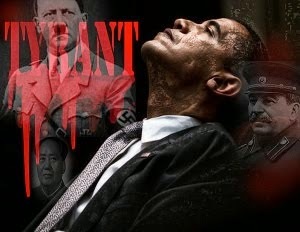 This is a disgrace when a patriot like Sheriff Arpaio is targeted like this and what does the Obama administration do? They sue Arizona. In a major policy statement that places U.S. Senate candidate Sharron Angle, R-Nevada, squarely in the mainstream of American public opinion, the Senate hopeful blasted district judge Susan Bolton, Harry Reid, and the Obama Administration for its concerted smack-down of Arizona over its new illegal alien law. Angle is hoping to unseat Leftwing extremist Harry Reid, D-Nevada, from the U.S. Senate. (Photo by Ethan Miller/Getty Images). U.S. Senate candidate Sharron Angle, R-Nevada. Yesterday Judge Bolton essentially adopted the position of the Obama Administration and the Democrat-controlled Congress in issuing a temporary injunction against large sections of the new law, in spite of the fact that the state law does nothing but mirror and enforce federal immigration law. Angle's outrage mirrors that of 70% of Americans who have shown consistent support for Arizona in its fight against the federal government to secure its border with Mexico and to stop the relentless onslaught of human trafficking, Mexican drug cartels, kidnappings, and a myriad of other major problems associated with illegal aliens. Contrary to the reports in the mainstream media, including statements by some political analysts, the move by Arizona Governor Jan Brewer and the GOP to address a major problem that the federal government refuses to recognize does NOT place them in jeopardy of alienating Hispanic voters. Polls show that a significant portion of Hispanic citizens who came to the country LEGALLY are also firmly in favor of the Arizona law, and one Hispanic group threw its support behind Arizona against the Obama Administration's lawsuit against the state. But despite the outcry of everyday, common-sense citizens concerning the dangerous and growing assault on our southern border, the stance of Democrats such as Harry Reid, Nancy Pelosi, Barack Obama, Eric Holder, and a host of others in the present regime, is to essentially promote open borders while giving lip service to 'securing the border' with window-dressing, such as sending a few Guard troops to the region, while forbidding them from doing what is necessary to prevent the illegal activity. Plus, Judge Bolton, a Bill Clinton appointee who is part of the regime's ruling class, delivered a totally indefensible rationale for her ruling. If states cannot enforce laws that are under federal jurisdiction, as the 'Judge' maintains, then no federal law can be enforced by local law enforcement, when this laughable assertion is carried to its logical conclusion. Thus, forget about local law enforcement's involvement with federal drug laws, which are 'under the jurisdiction of federal agencies,' or environmental laws which are under the jurisdiction of the EPA, or federal building codes that require handicapped access. The irrational pronouncement of a federal judge whose only discernible rationale for such an illogical ruling is pure political ideology is astounding. And thus, Sharron Angle is 100% correct. 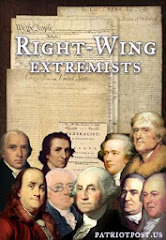 The entire scenario is an outrage that show how thoroughly the Obama Administration, Harry Reid, and the entire ruling class of Leftwing appointees hold in utter contempt the views of the American people. Americans are literally dumbstruck by the level of deceit and the magnitude of denial emanating from our White House and Congress. How many laws can one man break! How far must America fall before Republicans escape their denial and find their honor? IS OBAMA BEING BLACKMAILED? IS THAT WHY HE USES TELEPROMPTERS FOR ALL HIS SPEECHES? 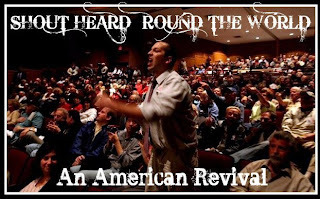 Here are clips from the Joseph Farah interview from July 28th, 2010 on The Conservative Monster Radio Show that I put on You Tube. 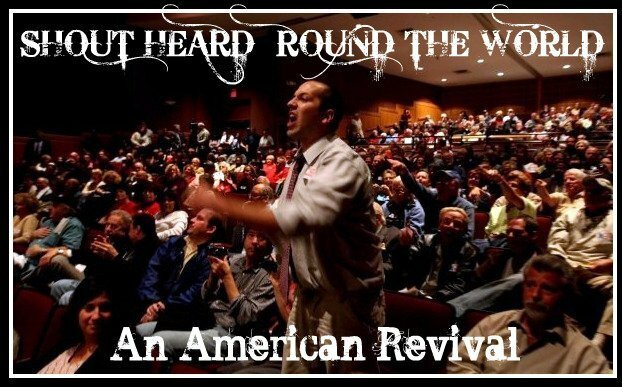 This interview was the proudest moment since I started The Conservative Monster.com back in May 2009. Joseph Farah is a pioneer of the Internet news business and to be recognized by him as worthy enough to do a 30 minutes interview with was very humbling. I must add, it takes a lot to humble me lol. Joe talks about Rush Limbaugh, Michael Savage, Sean Hannity, Glenn Beck, Fox News and Bill O' Reilly. Incredible! The Arizona Attorney General wasn't aware of this? Every day, in every way we see the absolute mediocrity of bureaucrats and elected officials. This whole federal lawsuit was a sham and could only be pulled off because of the woeful ignorance of our government (at all levels)and our citizenry. Now who will act to make this public? Certainly the gelded Republican Party won't. This morning I contacted a friend in Arizona who has access to AZ State Rep.Judith Burgess. Judge Bolton's unconstitutional non jurisdictional ruling has been pointed out and we are requesting this information be forwarded to Gov. Brewer. According to the constitution, Gov. Brewer could ignore Judge Bolton, and enforce SB1070 to the fullest today. 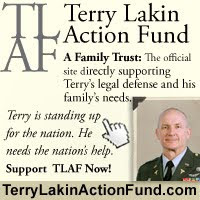 As defendant that is all Arizona needs to do until a proper action is brought. Burgess is the same state rep that initiated the proof of candidate's eligibility bill which will be reintroduced in the next session. Judith Burgess and one other AZ state representative have received the Canada Free Press article stating Obama's SB1070 injunction is out of Judge Bolton's jurisdiction. Governor Brewer's legal team has been contacted by Rep. Burgess. Let's see what happens in the next few days shall we? As the rest of us count the days until the November election, Obama’s boss, unrepentant Nazi collaborator, George Soros, is brewing a scheme to pirate the 2012 presidential election. Still smarting from the trauma of losing to George W. Bush in 2004, Soros is concocting ever more perfidious schemes for ensuring the outcome of our next presidential election. New York Congressional Candidate Anthony Tolda: Obama is the Greatest Threat America has known; Obama's Presidency is Illegal! Congressional candidate for the 2nd District of New York Anthony Tolda joins the long list of Patriot's questioning Obama's eligibility to be POTUS. Anthony Tolda is as a Liberty Candidate with the Constitution Party. Mr. Tolda is running for the congressional seat held by Democrat Steve Israel. 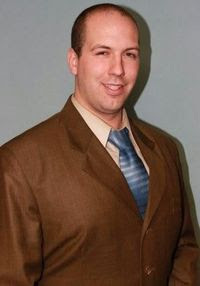 On July 17th, 2010, Mr. Tolda gave a speech at the Constitution Party of New York's annual State Convention where he laid out his platform and spoke the truth about the "Usurper-in-Chief." Mr. Tolda's speech is embedded below. I asked Mr. Tolda what he would do about Obama's Constitutional eligibility if he was elected to office; below the speech is his response. From Anthony Tolda; This issue is simple. It is clear we have a usurped oval office. 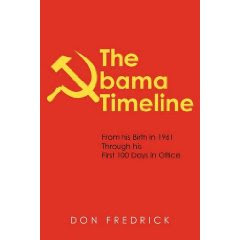 For our Constitution to continue to exist much longer Barack Hussein Obama aka Barry Soetoro, must be removed from office. I would not seek to impeach him, as that would imply that he held the seat in a valid manner in the first place. There is a process to remove seat holders that are not able to legally hold a seat. Until now the highest seat that was removed from the holder in this manner is a seat(s) in the US Senate. I will seek to begin this process as soon as I am sworn in. Although I do not intend to pursue an impeachment, I would assist in any efforts started by others in office to impeach. Only so long as I can verify that it would not nullify my plans for the annulment type removal that has been used on Senators unfit to legally hold office in the past. My campaign needs help. We are low on funds, and need to raise 5000 signatures to get onto the ballot in about two weeks time. We have some great plans to do this but we need some funding. If we do not have the signatures ready in time, we don't make the ballot for November. Donations can be as little as $10. Announcing a new Meetup for Columbus/Central Ohio 912 Project! As you may have heard, the president will be in Columbus next month to campaign for Gov. Strickland. On our meetup.com site, one of our members posted this information as well. Our member asked..."does anyone care?" This question, quite frankly, chilled me to the bone. Do we care? We're all tired and want to go back to our normal lives before all of this started. 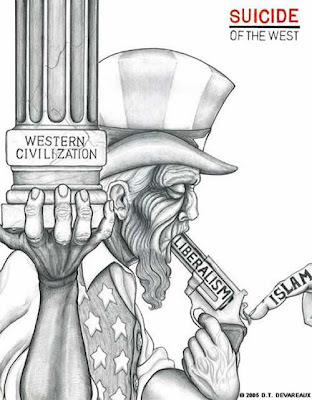 THIS IS WHAT THEY WANT AND WHAT THEY ARE HOPING TO DO TO US. Please realize that we are "getting in their heads." All you have to do is look at the amount and intensity of the attacks on us and our movement. We have done so much in such little time. This is no time to let up or give up. He said: "The price for this freedom, at times, has been high but we have never been unwilling to pay that price. The crisis we are facing today does not require of us the kind of sacrifice that Martin Treptow*, and so many thousands of others, were called upon to make. It does require, however, our best effort and our willingness to believe in ourselves and to believe in our capacity to perform great deeds. 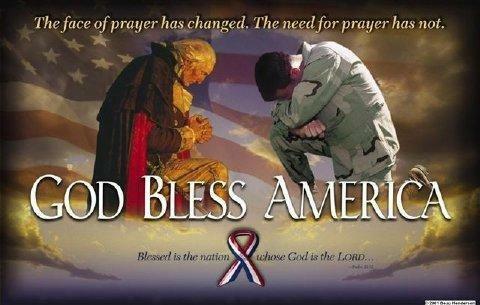 To believe that together, with God's help, we can and will resolve the problems which now confront us. And after all, why shouldn't we believe that, WE ARE AMERICANS." *Just as Jimmy Carter's 1977 Inaugural Address sent Americans scurrying to their Bibles in search of the Prophet Micah, Ronald Reagan last week set the nation wondering about Private Martin A. Treptow, an obscure World War I hero. The new President, inspired by a letter from an unnamed admirer, quoted a passage from Treptow's diary: "America must win this war. Therefore, I will work, I will save, I will sacrifice, I will endure, I will fight cheerfully and do my utmost, as if the issue of the whole struggle depended on me alone." Please, don't lose focus on what we need to do, what is at stake. The president will be at the Columbus Athenaeum (32 North Fourth St. 43215) on Wednesday, August 18th at 11:30 a.m. I contacted Strickland's campaign and was told the speech and fundraiser are one in the same at this location. 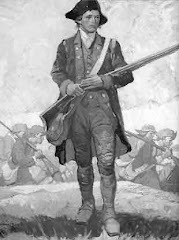 "I believe we, the Americans of today, are ready to act worthy of ourselves. Ready to do what must be done to ensure happiness and liberty for ourselves, our children, and our children's children..."
Thank you for your time and for your efforts. Now is the time for average Americans to do great things. (CHARLOTTESVILLE, VA) -- In his daily press briefing Thursday afternoon, Press Secretary Robert Gibbs said the White House would have never invited Leslie Macko to pose with President Obama had they known about her criminal past. "Had that type of information been made available," said Gibbs. "She would not have participated in the event here." Macko, a Charlottesville resident, stood next to President Obama as his example of the need to extend jobless benefits. "We need to extend unemployment compensation benefits for women like Leslie Macko, who lost her job at a fitness center last year, and has been looking for work ever since. Because she's eligible for only a few more weeks of unemployment, she's doing what she never thought she'd have to do. Not at this point, anyway. She's turning to her father for financial support," Obama said in his speech at the White House on July 19th. Macko was once employed at ACAC Fitness and Wellness Center in the Albemarle Square Shopping Center. However, in April 2009, a month after being found guilty of prescription drug fraud, she lost her job as an aesthetician in the spa at ACAC. ACAC CEO Greg Wells told the Newsplex that Macko was not terminated nor discharged because of any illegal activity, but Wells would not comment on the condition of her termination. CBS19 also learned Thursday that Macko has had more than one run-in with the law. 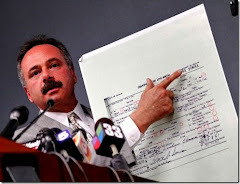 In June of 2007, Macko was charged with grand larceny. The charge was reduced in court to petit larceny, and she was sentenced to two years probation. Press Secretary Gibbs was also asked if the White House performed a background check on Macko before her appearance with the President. "I don't know the specifics," Gibbs said. 'But it's safe to say, had we known [about the charges against her] she wouldn't have been here." In a written statement to Fox News, a Secret Service spokesman says, "We do not comment or confirm the existence of anyone's criminal history or lack thereof. Anyone who is granted access to the White House or any venue that we protect does so only after an assessment of dangerousness is made." "Between March 2005 and April 2009, Ms. Macko was employed as an aesthetician by ACAC. When she was terminated in April 2009, Ms. Macko applied for unemployment benefits. On June 15, 2009, Ms. Macko was determined to be qualified for unemployment benefits. ACAC appealed that determination. After a hearing on the merits of Ms. Macko's case, the original determination was affirmed on September 14, 2009. Ms. Macko was convicted of two unrelated misdemeanors. Throughout the unemployment proceedings, ACAC never alleged that Ms. Macko's termination was related to those cases." CBS19 contacted Leslie Macko about the conviction, and she declined to comment until she speaks with her attorney. Let's see. 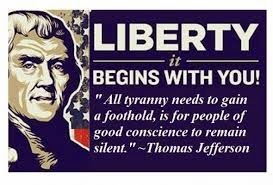 Surrounded by Communists, Socialists, Radicals, Homosexuals, now common criminals. Some people blame vetting. My take is Obungler is associating with the people he is most comfortable with, his kind. Mother Earth or drugs; these are a liberal's god. With unemployment as high as it is, Obama had to hold up a twice convicted criminal as his poster-child for why we should extend benefits...? I wonder if Joe The Plumber is still working...? Maybe Obama should have reached out to him instead! Is Obama going to call his wife a liar? Imagine your husband has left you out to take the brunt of his lies and deceit. 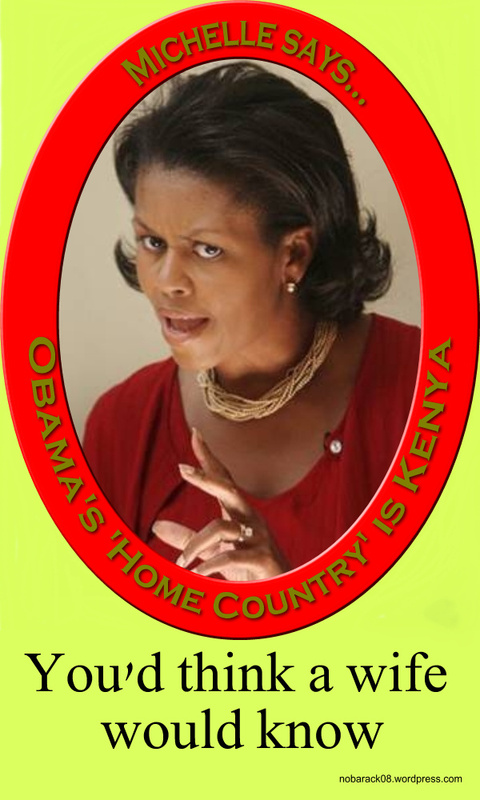 Not once but twice and possibly more times Michelle Obama has stated that her husband’s home country in Kenya. So how does a supposed to be well educated person confuse Hawaii with a foreign country? This is not like Haiti and the Dominican Republic, just across the hills there, or the mountain ranges in Afghanistan to Pakistan, there is a big ocean and a few thousand miles between them. Does anyone read the U.S. Constitution these days? American lawyers don’t read it. Federal Judge Susan R. Bolton apparently has never read it. Same goes for our illustrious Attorney General Eric Holder. But this lawyer has read it and she is going to show you something in Our Constitution which is as plain as the nose on your face. allowed to be warm and well fed while he is cold and starving. has the group kneel down to pray for thegrasshopper's sake. and given to the grasshopper. this on to other ants. because they wouldn’t understand it, anyway. Ahhhhh...let me guess.....ahhh RADICAL MUSLIMS!